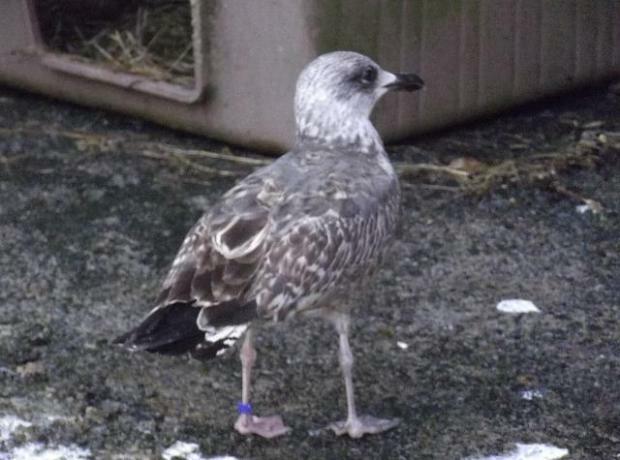 Yesterday the GSPCA were called to an injured juvenile gull that had been caught in fishing line. 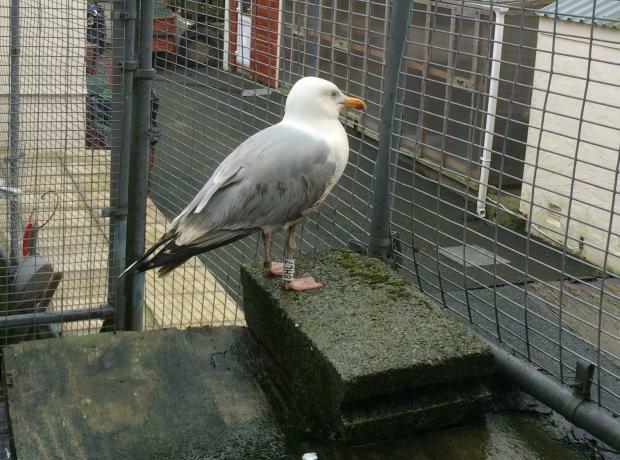 GSPCA staff had tried to catch the young gull on a number of occasions and yesterday GSPCA Warden Dave Brook managed to secure the disabled bird. The bird which was rushed to the GSPCA Animal Shelter had fine fishing netting caught extremely tightly around the birds left leg to such a point it had cut into the skin, become swollen and lame. 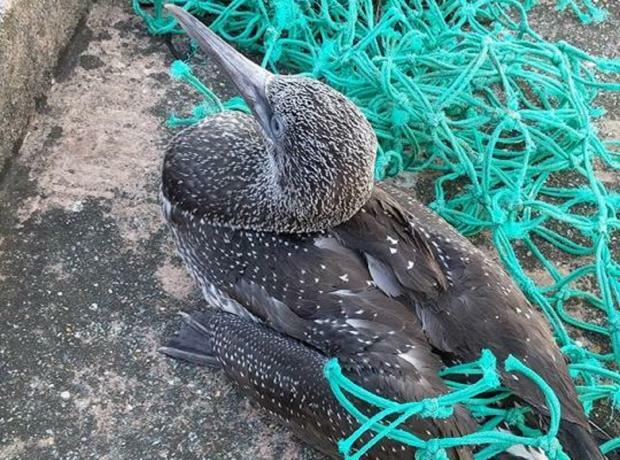 Steve Byrne GSPCA Manager and GSPCA Warden Dave Brook spent nearly 30 minutes removing the netting and treating the bird.